Gossip; Heard of It. Done with It! There's always that one time when you talk about that one person behind their back, we all have done it. When we do this one person could hear that they make what you said into something not true about that person. Lets stop this together. Let me be honest I've done it at times. 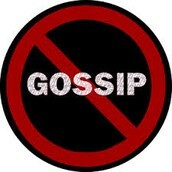 Another thing is, gossip sometimes isn't true, so how do you know its real, then you spread something not true. How bad do you feel now? The thing you hear could not be true and then people make fun of the person feel bad about something that isn't true. Lets stop it together and it will take time but it will pay off and we will have peace. 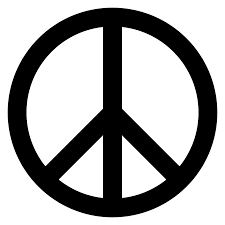 Peace day is on September 21st but let's make peace day 365 day a year. were all in this together!